Hideki Todaka is a president of this club, and the former WBA super flyweight champion and former WBA bantamweight champion. 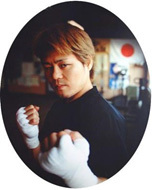 People around him opposed him becoming a professional boxer, saying "you are too old", but Todaka made his debut in 1994, when he was 21, and won his debut match by 2nd round TKO. In his 4th bout, He suffered his first defeat as a professional boxer. After that, due to a slipped disk, he had been forced to stop fighting. He recovered from his injury one year later, and he won several matches to which he was invited as an underdog. In 1996, when he was 23, he challenged and won the Japanese light flyweight title. This was only his 10th bout. After winning the title, he went to Los Angeles to learn boxing from Mack Kurihara, a famous Japanese-American trainer who trained many world champions. He defended the Japanese title once, and he returned it to target the world title. 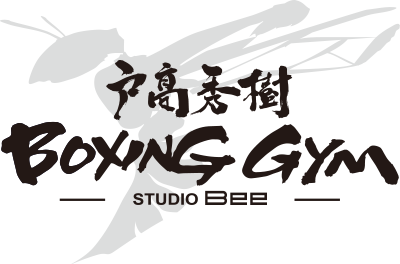 In 1997, he beat the former Filipino champion Jerry Pahayahay and one year after the match, he transferred from his gym in Miyazaki to a larger gym located in Nagoya. In April, 1998, when he was 25, Todaka defeated the former Japanese champion Hiroshi Kobayashi. This was the first match after he moved to his new gym in Nagoya. It was the beginning of his hard and lonely boxing career in an unfamiliar place. In December of the same year, he beat Yong-Soon Chang (Korea) ranked 14th in the WBC and obtained a world ranking. In March, 1999, when he was 26, he finally seized a chance to challenge the world title! The match against WBA champion Jesus Rojas was held in his hometown, Miyazaki. He tormented the veteran champion with his aggressive offense in early rounds, but Rohas got injured above his left eye in the 3rd round and the ring doctor ended the fight in the 4th round. Unfortunately, following the rules, the referees judged the match to be a draw. Todaka failed to get the world title with his first challenge. But he, a boxer whose slogan was "GO AHEAD", didn’t give up. In the rematch held in July of the same year, he dropped Rojas in the 2nd round with a right hook, and won the WBA super flyweight title by 12-round decision! Todaka defended his title twice, but In the third title defense in October, 2000, he was knocked out in 7 rounds by the former three-division world champion, Leo Gamez from Venezuela. His jaw was broken by a right hook from Gamez and he also suffered eye injury in the fight. Due to the injuries, he was forced to rest for a long period. He underwent operations many times. When he spent his life in disappointment, a famous Japanese musician Tsuyoshi Nagabuchi sent him one song titled "Hold your chance". Mr.Nagabuchi’s song awoke "Samurai heart" and "Never-say-die spirit" in Todaka and he remembered his slogan "GO AHEAD"! After one year and five months, he came back to the ring in March, 2002. He won three fights after his comeback, suffering his facial bones fracture and orbital floor fracture in them. Mr.Nagabuchi’s song continued to inspire him to challenge the world title again, and in October, 2003, when he was 30, he met Leo Gamez again, for the WBA bantamweight interim title. Todaka won a close 2-1 split decision victory, avenging his previous loss, and becoming the 5th Japanese boxer to have won world titles in two different weight classes! He was beaten by Julio Zarate from Mexico, and lost his title in March, 2004. He retired one year after the match.